Blu-Ray Vs DVD - Which? Blu-ray players and discs can deliver an HD picture that breathes new life into old films, but some are barely better than a standard definition DVD. We explore the differences. Just what is the difference between a Blu-ray DVD and a regular DVD, and how can you tell the difference? Blu-ray discs are meant to guarantee you a better picture than a standard DVD. But a Which? investigation found that when playing the DVD and Blu-ray versions of some films on a good Blu-ray player, Blu-rays aren't always much better than the DVD. 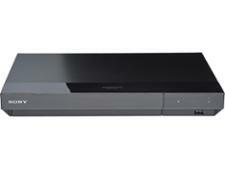 Just want a great Blu-ray DVD player? Click the link to see all of our best Blu-ray player reviews. 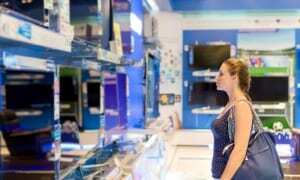 Blu-ray players vs DVD players - which should I buy? We would strongly recommend you invest in a Blu-ray player - these are backwards-compatible and can also play standard definition DVDs. Fewer shops stock DVD players nowadays and, as such, very few people are buying them, so we no longer test them. 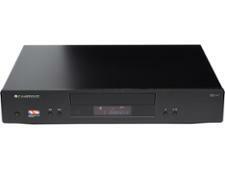 Although the cost of Blu-ray players was prohibitive for most when they first launched, they now start at around £50. 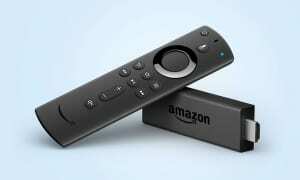 It's well worth it for the extra quality and features, such as catch-up and Smart TV apps. 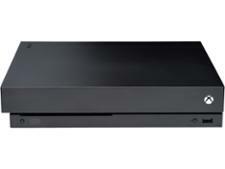 Find all you need to know about buying a Blu-ray player in our guide on how to buy the best Blu-ray DVD player. How does Blu-ray compare to DVD in quality? Blu-ray's high definition (HD) picture is often referred to as '1080p'. This means that it's made up of 1,080 horizontal lines, compared with just 576 on a standard-definition DVD. The extra resolution makes Blu-ray look sharper, more detailed and more realistic. Therefore, you'd expect the Blu-ray version of a film to be shown in a much higher quality - up to four times that of the DVD. Many older titles have been retrospectively launched on Blu-ray since the format appeared in 2006 - if you buy the Blu-ray version of a new movie released since then, you can be confident that the original material was optimised for transfer to Blu-ray. However, if you're keen to upgrade your old DVD collection with superior Blu-ray versions, be careful. Unfortunately, there's no way of telling which is best from the packaging alone. Most discs routinely promise a 'maximum high-def experience', but you may find that an 80s action movie on Blu-ray doesn't look much different from the DVD. Yet, irrespective of the quality, films cost more on Blu-ray than DVD (although prices have fallen steadily) - so we decided to test some classic titles for ourselves. The result? The best Blu-ray films looked simply stunning and were significantly better than the DVD version. And our tests show you don't need to spend a fortune on a Blu-ray player to enjoy the best Full-HD and DVD quality. Find out which are the best cheap Blu-ray DVD players under £100. 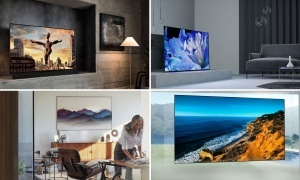 Our expert viewing panel watched a selection of 17 films from a variety of studios, made both before and after the advent of the Blu-ray format, viewed on DVD and Blu-ray using two identical Sony Full-HD TVs and two identical Sony Blu-ray players. The best Blu-ray films looked simply outstanding, but only five out of the 17 discs we watched were of the highest quality we were expecting, and several proved disappointing. A significant proportion of the Blu-ray discs on test failed to offer a significant improvement over their DVD equivalents, even though they tended to look superior. In some cases this was thanks to the high-quality picture of the DVD itself. Master and Commander (2003) and The Untouchables (1987) Blu-ray discs looked superior but were only 'slightly sharper' and not deemed to be a 'significant improvement' or as good as the discs rated outstanding. The Matrix Reloaded (2003) looked great on DVD, but the Blu-ray offered 'no significant improvement' over the standard-definition version. Likewise, Gangs of New York (2002) was good on DVD but, apart from having a slightly sharper image, looked very similar on Blu-ray. Ghostbusters (1984) sits at the bottom of the pile - the supernatural classic failed to impress either on DVD or Blu-ray. The DVD version was dull and lacked detail, but the Blu-ray disc wasn't much better. Exaggerated colour and strong whites actually wiped out some detail (on the New York skyline, for instance). The resolution wasn't much better than DVD and the level of grainy 'picture noise' was way too high for an HD disc. According to our experts, the Blu-ray version of The Graduate (1967) 'doesn't offer any picture quality improvement over DVD'. Like Ghostbusters, the colour saturated the high-definition image and levels of detail were nowhere near the levels they should have been. Find out which machines will show off any disc at the best quality with our Best Buy Blu-ray player reviews. Which Blu-rays look best compared with DVD, and why? We asked the British Video Association (BVA, the body that represents the major studios in the UK) to shed some light on the differences, but it simply told us that research showed most consumers thought Blu-ray looked better than DVD. We don't dispute that Blu-ray generally looks better than DVD - in fact our findings support this - but simply saying 'it's better' doesn't explain the gulf in quality between a disc such as Zulu at one end of the spectrum, and Ghostbusters at the other. We think the likely explanation is that the movies have been converted from different sources of differing quality. The best are more likely to have been transferred from the original high-quality source (the negative), the worst merely copied and up-converted from subsequent standard-definition copies of the original. If the source material isn't great, then chances are the final copy won't be much better, despite the higher-quality format. And the more times you copy, the more the picture quality can suffer with each subsequent version. Boosting the colour temperature and removing scratches can give a veneer of quality, but will pale next to a disc re-mastered from the original source. That's why 'mastered in 4K' Blu-rays are appealing. Although 4K (or Ultra HD) is relatively new to consumers, many films have been shot in 4K for years, and the material of these discs has been derived from the 4K source that hasn't been subject to the same compression as DVDs and standard Blu-rays. 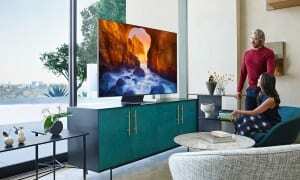 Recently picked up a 4K TV? Be sure to check out our best 4K upscaling Blu-ray players. Video: What else did our Blu-ray vs DVD test reveal? Unfortunately, there's no way of picking the best Blu-ray disc based on the box cover. Generally, films and TV shows released since 2006 will look good on Blu-ray, as the original material is likely to have been optimised for transfer to high-definition Blu-ray discs. However, be cautious if you intend to upgrade your old DVD collection to the Blu-ray versions. Studios may be more inclined to give label gems (such as The Wizard of Oz) the full expensive re-master treatment, but an action movie from the 80s may not warrant such loving restoration when a more straightforward 'up-conversion' will do. We recommend checking if the cover states whether the Blu-ray has been remastered (from the original source). Avid movie fans may be interested in 'mastered in 4K' Blu-rays, where the disc material still has the same 1,920x1,080 resolution but has been derived from 4K sources. This means it shouldn't have been subject to the same compression as standard Blu-rays, and therefore display better colour and detail. But those with a 4K upscaling Blu-ray player and a large Full-HD or 4K TV are likely to benefit most. If you buy wisely, your Blu-ray collection will look fantastic and, for the large part, the discs will normally look better than their DVD counterparts. However, the gulf in quality between the best and some of the rest is huge, and the marginal step up in quality from DVD on many films makes it difficult to justify the extra cover price, especially if you're buying to upgrade your old DVD collection.